Valentine's chocolates from the king by the Beach. 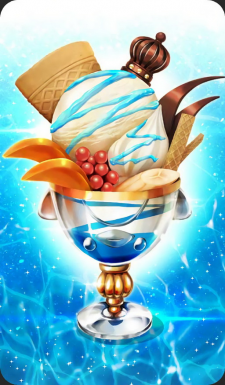 An ice cream parfait that can be enjoyed by the beach in summer. There's a ton of vanilla ice cream, but eating it is a cakewalk (or, rather an ice cream walk) for the king.